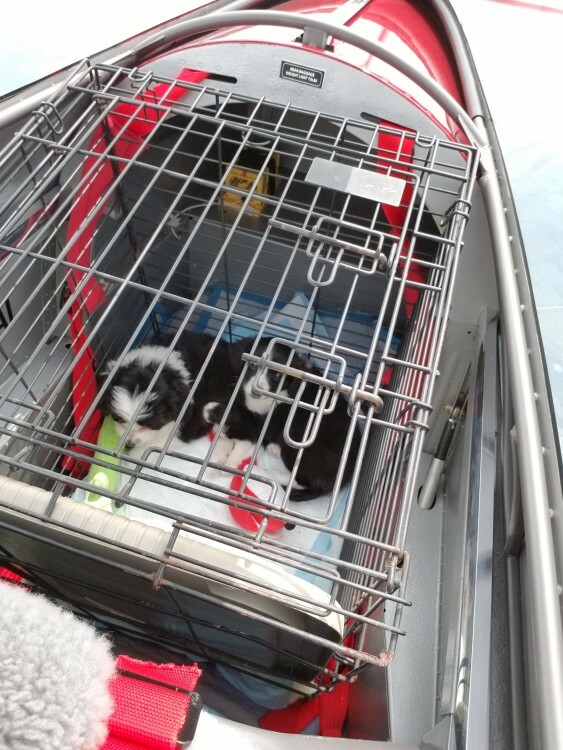 Puppies in a RV8-It Can Be Done! Several years ago, I was active in Pilots N Paws when I owned a Bonanza. 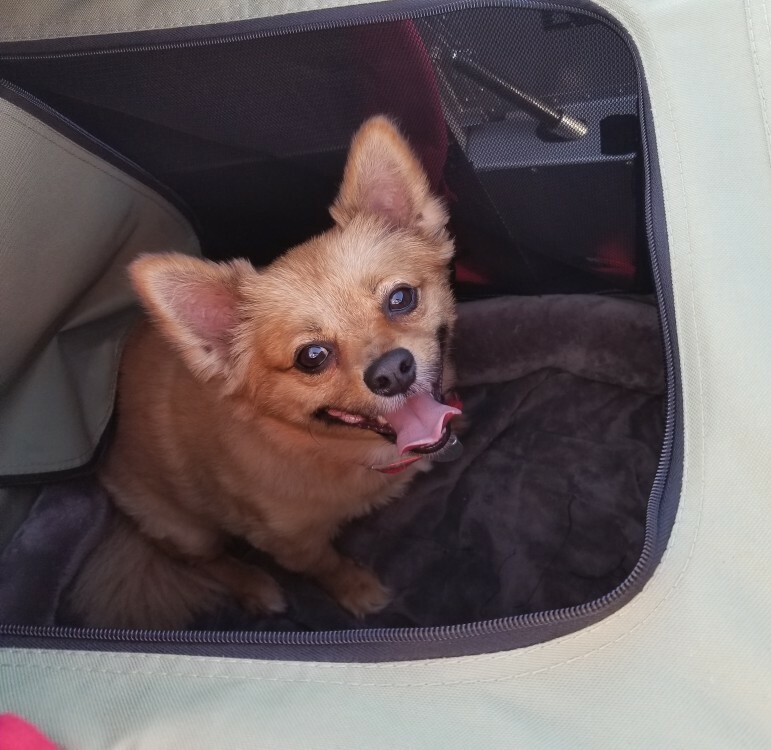 It was a great plane to haul almost any size dog. In fact, I hauled so many aged and injured Pit Bulls, I took to calling my plane “the Pit Special”…ha. 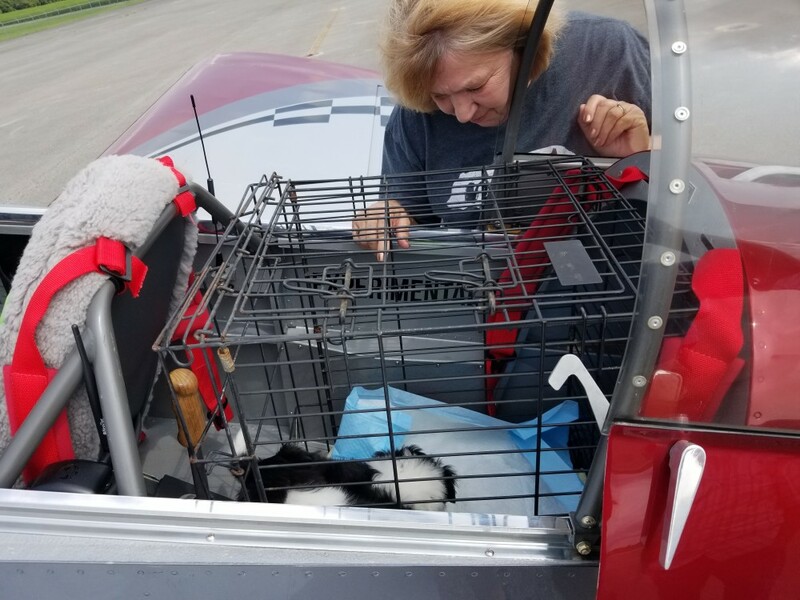 I sold the Bonanza and aside from a brief interlude with a Cirrus, I didn’t have a plane to continue hauling animals and gave up on it temporarily. I always found it very rewarding and always intended to do it again after I finished up the -8, but always wondered about how realistic it would be considering the space available. Seeing some of the recent stories reawakened those thoughts and I recently and unexpectedly had an opportunity to jump back into it right before Oshkosh. It’s a story of two coincidences. 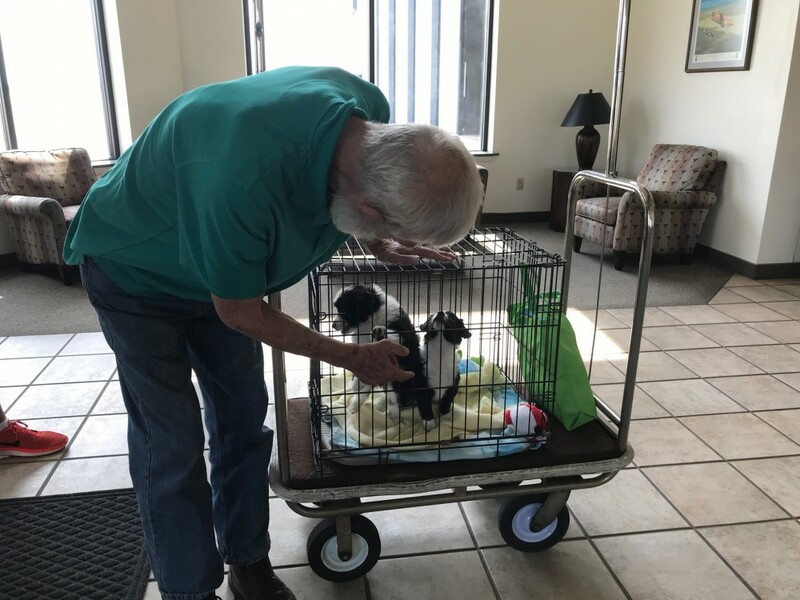 Out of the blue and with no action on my part, and for the first time in years, I was contacted by a rescue organization based in WI and asked if I could fly 8 puppies (later to be 4 puppies) from Magee, MS to my home airport Fayette County, TN. That was convenient! The pilot I would hand them off to happened to be someone I had met for the first time less than 24 hours prior to being contacted and whose hangar is less than 50 yards from my own. What are the odds? Sean would then fly them to Waupaca, WI on his way to Oshkosh. 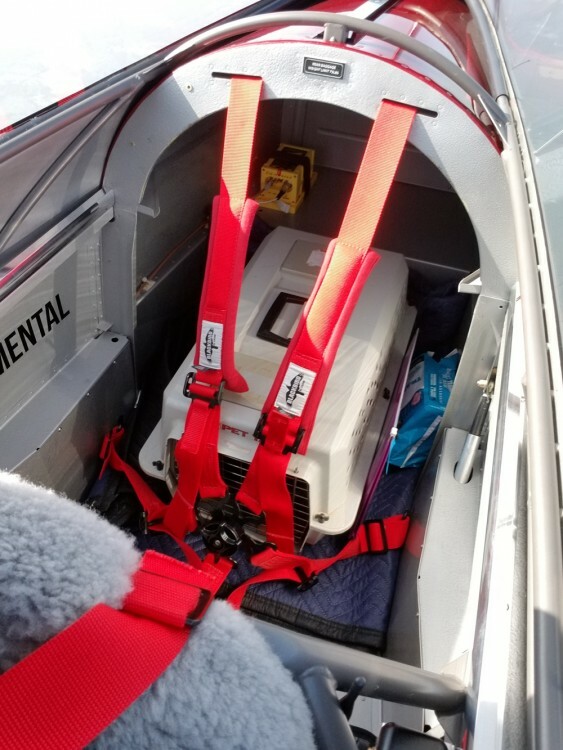 Needless to say, a RV-8 is not a freight hauling machine and I was concerned about the weight and the size of the crate with 4 puppies in it. 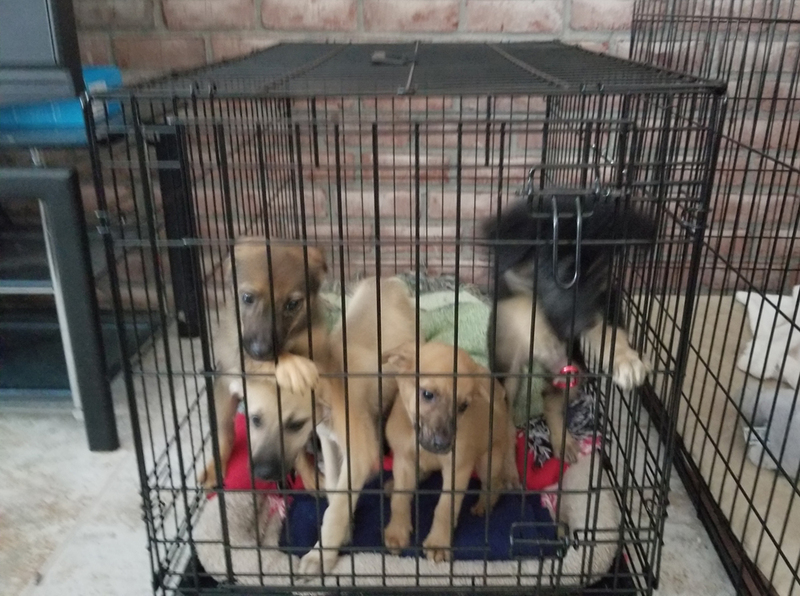 The puppies averaged about 6 lbs each and the foster mom found a small crate for them. I removed the back seat and laid a moving blanket down to quieten things a little and it all fit fine. 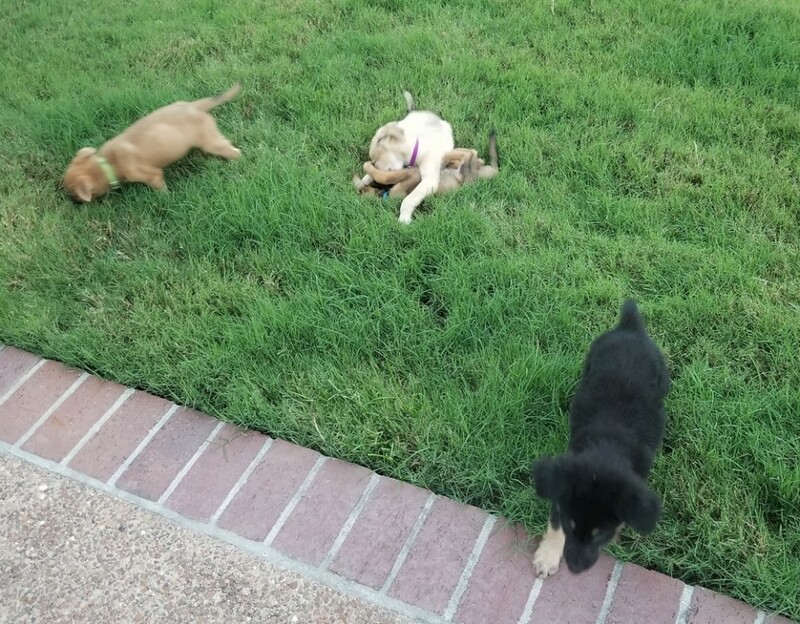 We kept the dogs overnight and my daughter, a former vet tech, and my wife, a certified dog nut, just fawned over them for hours. They named them. I was afraid they would want to keep them. They had a great time in our backyard. Later they had a good night’s sleep in one of our crates after some energetic wrasslin’. I took them to the airport the next morning to meet Sean’s wife and daughter, who fostered them for one night. I heard later from Sean that they were named again. 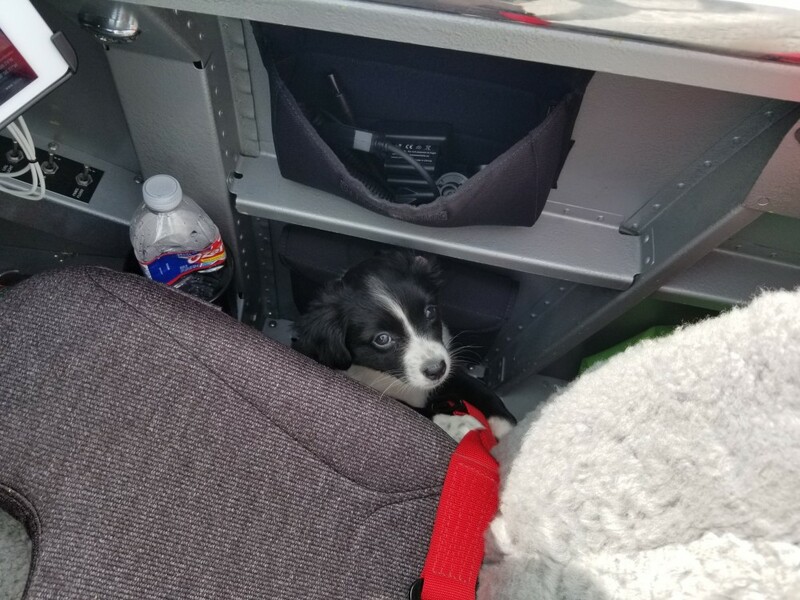 Those were four spoiled little dogs and now they are residents of WI courtesy of Pilots N Paws. It was just as rewarding as I remember, and I’m looking forward to another mission if I can find one with smaller animals in my area. 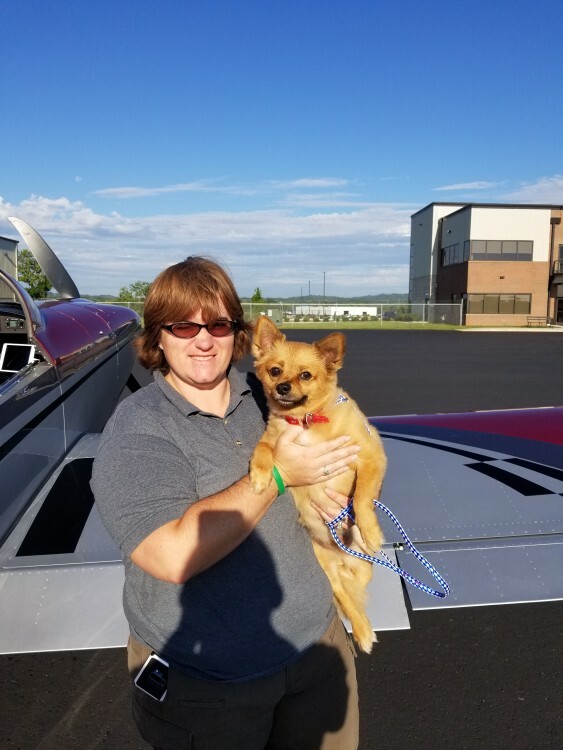 This entry was posted in Pilots N Paws on July 20, 2018 by Mark Dickens.